This week, let’s drive across the Golden Gate Bridge to visit two new North Bay restaurants (Parranga and Stockhome), and there’s a unique culinary and music event happening at McEvoy Ranch. Take a look at an Indian import from the North Bay to San Francisco (Lotus SF), and wine and beer lovers won’t want to miss Bayview Uncorked. 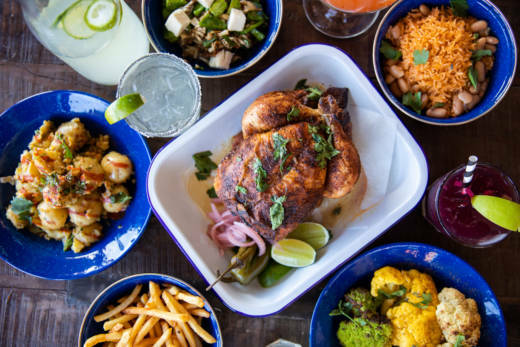 North of the Bay, there are a couple new restaurant openings happening, starting with Parranga, a new taqueria and cerveceria in Mill Valley’s Strawberry Village from San Francisco’s Colibri. Parranga is open in the former The Plant Café location, and whether you want to dine on-premise, or prefer easy pickup for takeout (or delivery), they have you covered. 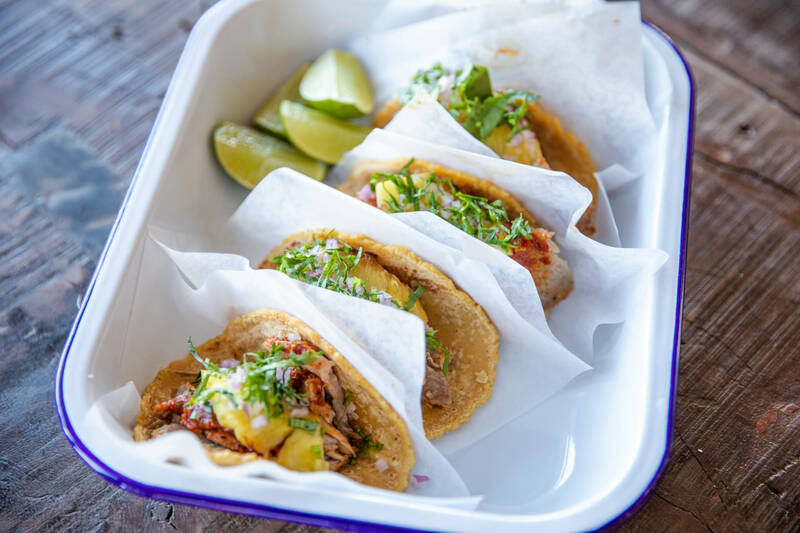 Chef Jose Miguel Smith Bustos is overseeing a busy rotisserie that is cooking chicken with a house blend, and there’s roasted pork shoulder and skirt steak that you can get in tacos, ensaladas, and tortas (all the meats are hormone-free). You'll find an assortment of ceviche, beers, sangria, cocktails made with agave wine, and a selection of fresh jugos. Don’t miss the Corazón de Melón smoothie (strawberries, cantaloupe, cinnamon, coconut water, and coconut sorbet). 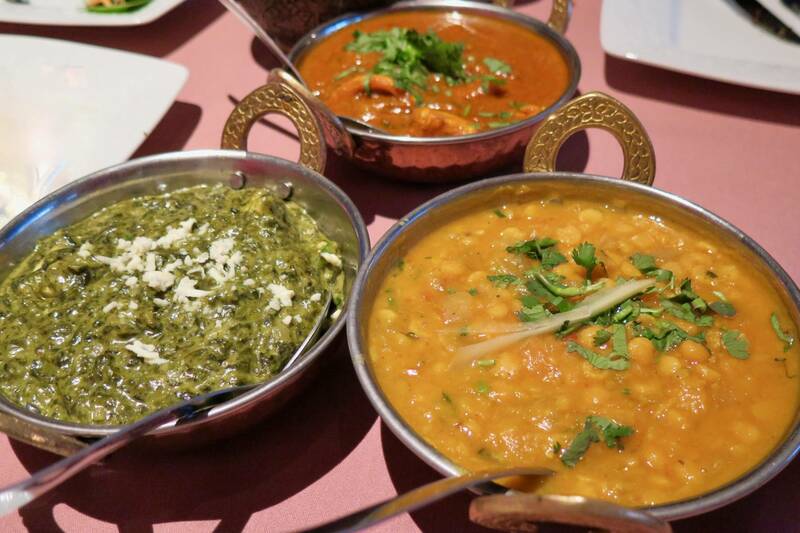 Parranga is open for lunch and dinner to start, with breakfast and weekend brunch coming soon. Opening August 1 in Petaluma is Stockhome, from husband-and-wife team chef Roberth and Andrea Sundell, owners of San Francisco’s PLÄJ Restaurant. This project is decidedly more casual and family-friendly, with counter service and an extensive menu that spans influences from Roberth’s native Sweden, along with Middle Eastern wraps and kebab plates, German sausages, and other dishes that make up the street food scene in Stockholm. There are big salads and numerous small dishes and sides, from grilled halloumi (made of sheep’s milk) with chermoula and purslane to shrimp skagen (a Swedish shrimp salad) with avocado brioche and chili horseradish, so you can really make your own dream spread. Plus, you’ll find a couple larger meaty mains while children will be obsessed with the wall of imported Swedish candy (Lördagsgodis), which will be sold in bulk to good little boys and girls. There are 40 seats in the dining area, and 10 in a private dining room, with Swedish wallpaper and many other nods to Swedish design. Want an excuse to go to a gorgeous place? Here you go. 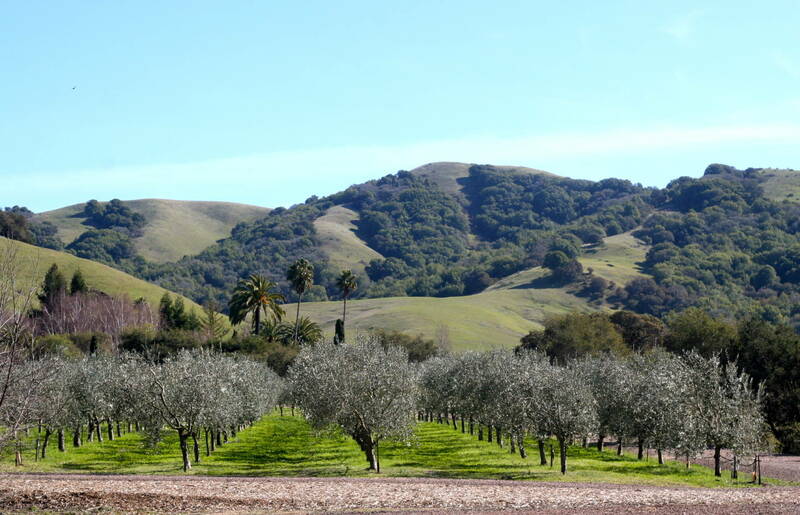 If you haven’t visited McEvoy Ranch in the rolling hills of Petaluma, here’s your chance to go to the beautiful site, where they grow and process their olive oil. On Sunday, August 12, the ranch is hosting the second in their Social Club Chats series, which “explores the historical and cultural intersections between music and food and how they combine in traditional cultures to heighten the sensory experience.” At Ancient Rhythms, Ancient Grains, you’ll enjoy a chat with host Nion McEvoy and Ken Albala, food historian and professor at the University of the Pacific. After the chat, you’ll get to watch a demo from Culinary Director Jacquelyn Buchanan on how to prepare dukkah, the fragrant spice mix used for dipping meat, fish, or vegetables, and often made with spices and nuts. And then it’s time for lunch, during which you’ll enjoy the afternoon in the courtyard. 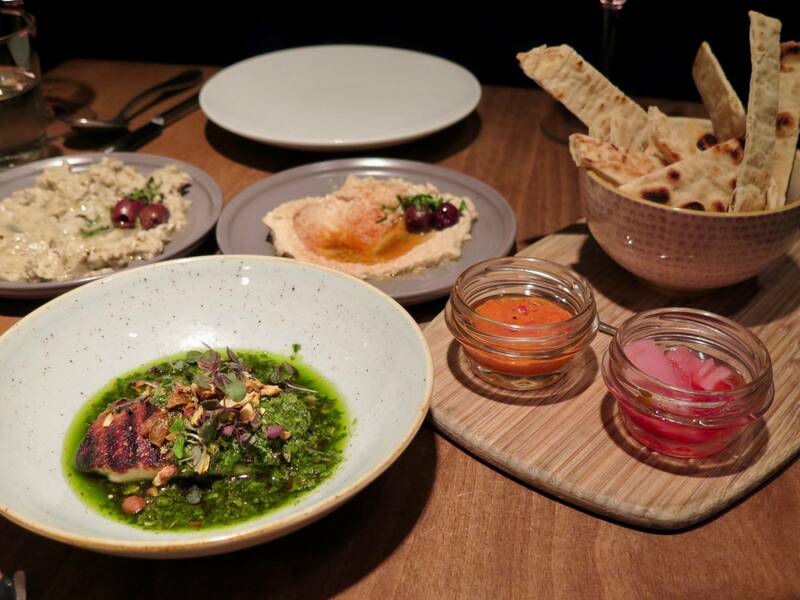 A selection of meze (Mediterranean/Middle Eastern small plates and bites) will be served with a sampling of McEvoy Ranch wines. The Qadim Ensemble will play, whose music "evokes the spiritual heritage and diversity of the regions of Armenia, Greece, Morocco, Israel, and Turkey, to name a few.” You’ll get one last bite in the frantoio (where they press the olives). 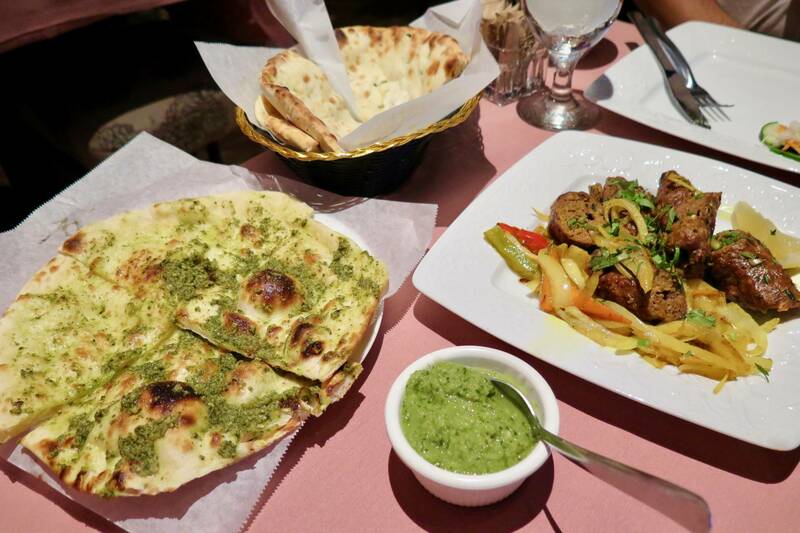 In 2017, San Francisco received a restaurant import from the North Bay (usually it’s the other way around): Lotus SF, from the same family and group behind Lotus Cuisine of India and Lotus Chaat and Spices in San Rafael, Cafe Lotus in Fairfax, and Sartaj India Cafe by Lotus in Sausalito. While sitting with a couple friends over dinner at Lotus SF (located on Mission Street), I was suddenly brought back to India with the incredibly attentive and detailed service they provide here. 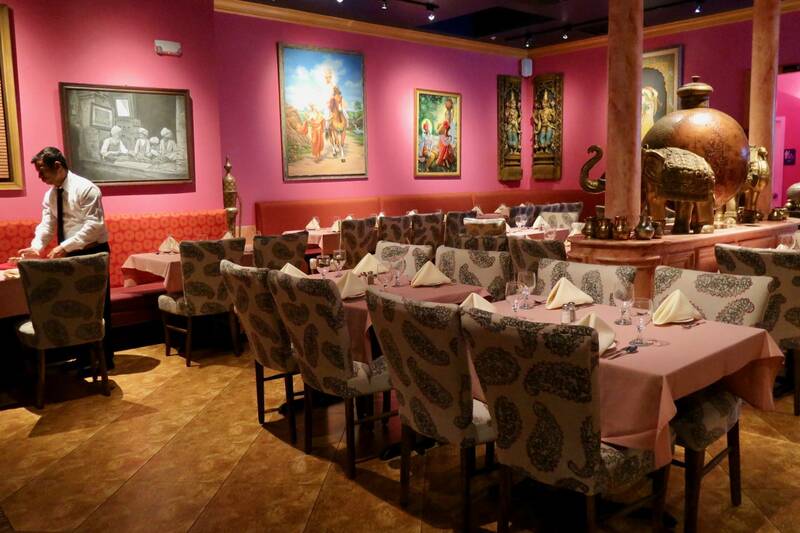 Add in the hot pink walls adorned with vibrant art, paisley upholstered chairs, and soft pink tablecloths, and you can see they really care about providing a comfortable (and vibrant!) atmosphere for guests. Even your dinner plate comes adorned with some charming garnish from the kitchen. The menu contains many classic and familiar Northern Indian dishes, but their spin here is they’re dedicated to offering healthier and more ingredient-driven variations of dishes, made with fresh and local ingredients, organic spices from India, organic ghee and coconut oil, and the option for you to upgrade to organic chicken if that’s your preference (an additional $1.50 for many dishes). The deep golden mixed veggie pakoras ($5.95) included kale, chard, and spinach, and were a big hit (especially the vibrant mint-and-cilantro sauce that came with them — we kept that sauce on the table all night). The table favorite was the seekh kebab ($17.95), made with lean ground lamb, but still so juicy and well-seasoned with cumin and herbs, and obviously cooked by a pro. Silky saag paneer ($12.95) is made with pesticide-free spinach and fresh-tasting and creamy organic paneer, and the savory dal tarka (organic chana dal cooked with tomatoes, onion, ginger, and spices; $12.95) was a great thing to scoop up with their extensive menu of naan and kulchas. Now, as someone who lives for spice, I want to return and order Indian hot next time — I found the food to be overall far too muted, but my spice-adverse friend requested medium-hot and was happy with the turnout. They even have Eel River IPA on the beer list, and a lassi made with rosewater (for once, it’s not a mango lassi — now if someone could just offer the spicy salty lassi my sister and I enjoyed in Goa, we’d be thrilled). Pro tip: they also serve lunch Monday–Friday 11:30am–2:30pm, with a variety of lunch specials served with basmati rice, naan, a samosa, and salad. That seekh kebab is just $13.50, so I say get on it. They also serve dahi puri, which I didn’t see on the dinner menu. And just so you know, they don’t deliver! They want you to eat the food fresh in the restaurant. On the menu, they also request you silence your cell phone, which I love. Shhhhh! The fourth Bayview Uncorked, a community celebration featuring wines, beers, spirits, food, music, and art from the Bayview, Dogpatch, and Potrero Hill neighborhoods, returns Thursday, August 2nd. There will be over 30 tastes from 13 wineries, breweries, and spirit brands that will be pouring, including Gratta Wines, Laughing Monk, August West Wine, Cellars 33, Fort Point Beer Company, Seven Stills, SF Mead, Harmonic Brewing, Sequoia Sake, and others. Small bites will be provided by Auntie April’s, Goldie’s Oakwood BBQ, La Laguna Taqueria, Feve Artisan Chocolatier, and Yvonne’s Southern Sweets. Art and music will be in the house! The event will be held at the historic Bayview Opera House. 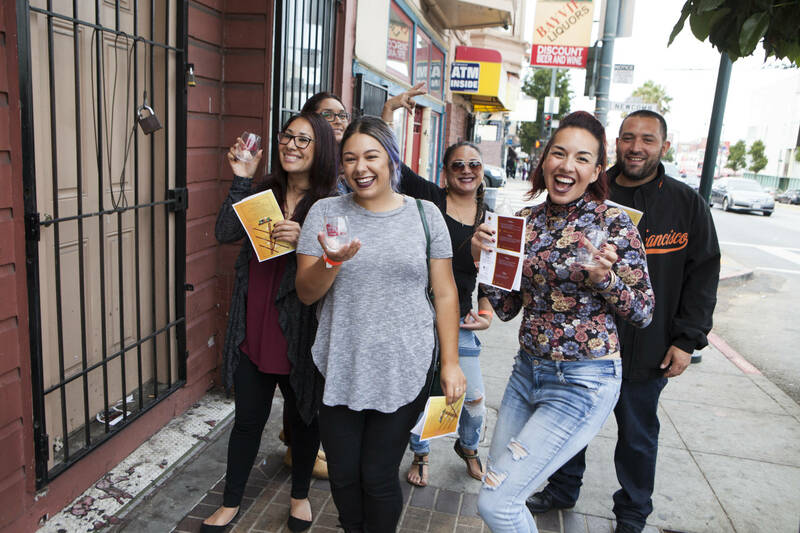 A portion of ticket sales will go to Imprint City, a Bayview-based, non-profit organization that activates underutilized spaces with arts and cultural events. Bayview Uncorked was created by and is hosted by Andrea Baker Consulting.